A few months ago NGINX’s fearless leader, Gus Robertson, wrote a blog about our Series C funding round and some of the key elements that have driven our success: our technology, culture, and customers. I think there’s another crucial element to that success that we haven’t talked much about, and that is the ecosystem of partners that extend the reach of our technology, ensure interoperability with a wide range of environments and technologies, and offer purchasing support and skilled services to deliver world‑class customer experiences. 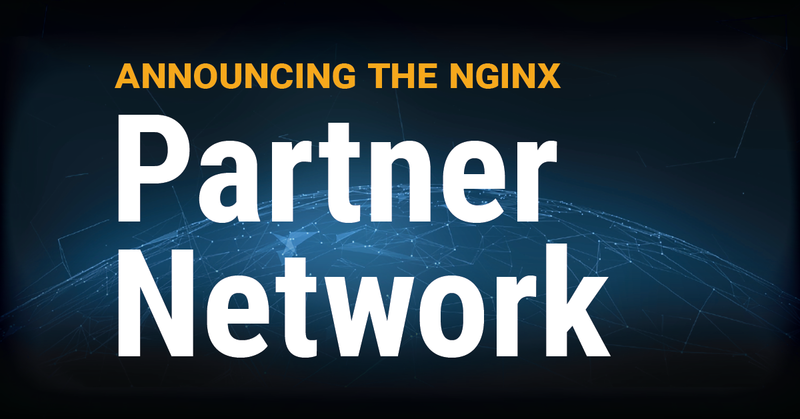 That’s why I’m really excited about today’s unveiling of the NGINX Partner Network, our first official global partner program. Over the course of my career in technology I’ve had the opportunity to experience firsthand the enormous benefits of developing and nurturing successful partner relationships. During my time at NetApp and later at Riverbed, we worked hand in hand with alliance and channel partner communities as they grew into a critical component to drive business. I also witnessed how these partners worked to evolve and adapt their business in the face of disruptive industry trends, from virtualization to public cloud and SaaS, and later IoT and digital transformation. When I joined NGINX, it was the first time I’d had an opportunity to work for a company that had open source roots. I discovered a new form of community, one that was vibrant and active, and a similarly powerful driving force behind the success of our technology. The NGINX open source community is extremely passionate about our technology. I’ve been stopped in the street and thanked for the work we do! Now that’s having an impact on people. The combination of these experiences instilled in me a deep respect for the incredible value that community, in all its forms, can bring. It’s a community where members are selling partners, customers, users, alliance partners and, in many cases, a combination of two or more of these. It helped me understand that if we want to keep up, we have to change the way we approach partnering. The lines we used to draw between partners – VARs vs. systems integrators vs. MSPs and so on – are blurring. How do we categorize the partner who built a thriving consulting and technology resale practice, but also embedded our technology into a public cloud offering? Our take: Don’t. If a partner considers itself to be part VAR, part MSP, part SI and part alliance partner, who are we to tell them otherwise? Not only that, but there are entire categories we never used to include in our definition of partners at all: influencers who refer us business as part of their skilled contract work, or partners of our partners, who may not sell our products but have a role in the customer lifecycle. How do we bring value to our existing partners, accommodate their changing businesses, and make room for non‑traditional partnership models, in a traditional partner program? As we evolved our business, it became clear we needed to evolve our approach to partnering too. Second, I wanted to ensure we created a modern, simple, and flexible framework that allows partners to engage when and how they need – and without requiring a PhD in NGINX partner programs to understand where they fit. To accomplish this, we’ve created a model that defines the core ways we find partners seek to work with us, and then simply ask: ‘What would you like to do today?’ And, importantly, allow for a different answer the next day. Finally, I wanted to make sure it was easy to get started and smooth to work with us. That’s why we’ll have an open‑door policy for new partners seeking information to explore content, resources, and even submit referrals via the new partner portal we’ll be launching before the end of the year. We won’t make prospective partners jump through any hoops. If they want to do more, we’ve created onboarding steps and requirements unique to each type of engagement, so that our partners never find themselves trying to meet obligations for the program that aren’t relevant to their business. Refer – Partners can refer opportunities to NGINX for a commission or other benefits. Fulfill – Selling partners can engage with NGINX to support the resale of licenses. Solution – Selling partners can leverage discounts and incentives when leading a sale to their customer base. Embed – Selling partners can work with NGINX to certify their own custom solution with NGINX software embedded. Integrate – Partners can pursue a technology integration or module certification with NGINX via the Technology Partner or Certified Module specialty programs. The coolest thing about the Network is that it doesn’t attempt to confine a partner to any one engagement type or limit them to certain areas. As long as a partner has met the requirements for a particular engagement, it can opt in to any or all of them, on its own time and terms. The program will grow and adapt as our partners – and the industry – evolve. As NGINX expands into new regions, enhances and extends its product portfolio, and penetrates new market segments, our partners will be key to our success. Today’s announcement is an important step toward our vision of a robust, thriving partner ecosystem, empowering the creators of the new digital world side by side with NGINX. Visit our Partners page to learn more, and stay tuned as we roll out more program details and a new, personalized partner portal and onboarding experience. 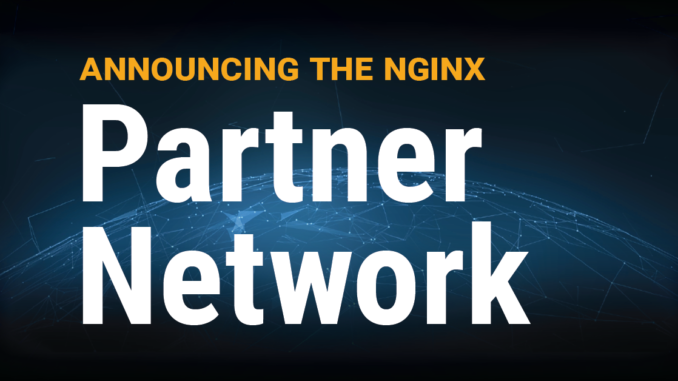 The post Announcing the NGINX Partner Network: Our Unique, Ecosystem Approach to Partnering appeared first on NGINX.